The articles in this edited collection, first published in 1985, consider the competing theories of the nature of development and underdevelopment in Southeast Asia. 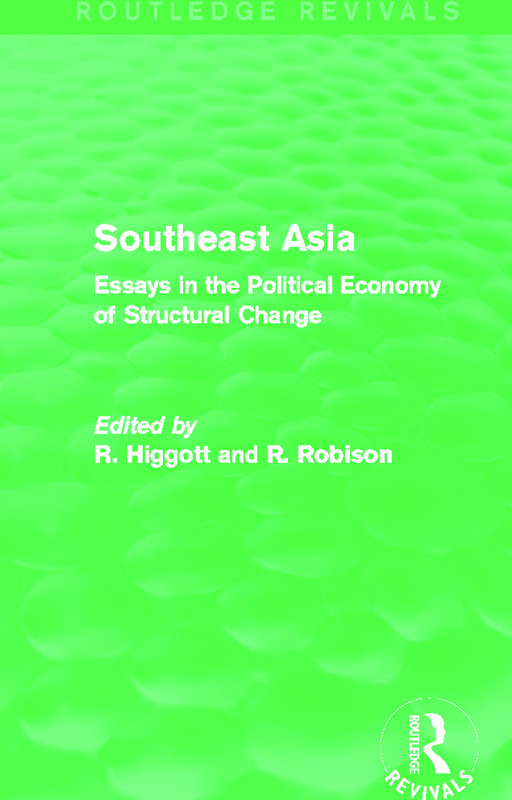 Each chapter challenges the academic orthodoxies and dominant traditions of Southeast Asian studies, particularly in relation to orientalist history, behaviourist political science and development economics. Overall, the contributions offer an alternative framework for analysis, which considers the structural changes to the political economy of Southeast Asia, as well as the relationship between the state, economy and class at a domestic level. This is a fascinating collection, of value to those with an interest in Southeast Asian politics, economics and history.